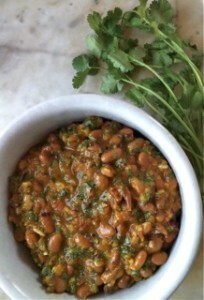 We have an awesome network of professional food bloggers who develop amazing recipes for Randall Beans. They take beautiful photographs of their creations and inspire the rest of us to be creative too. 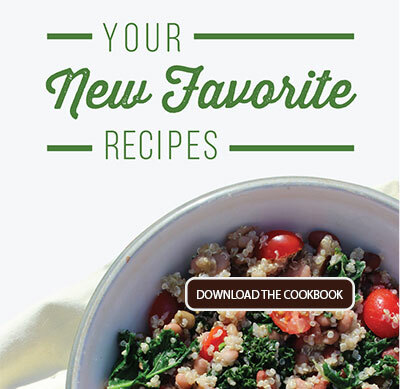 We frequently hear from readers who try out the recipes and send us notes about how they turned out. Sometimes, they are so inspired they send us their version of the recipe. 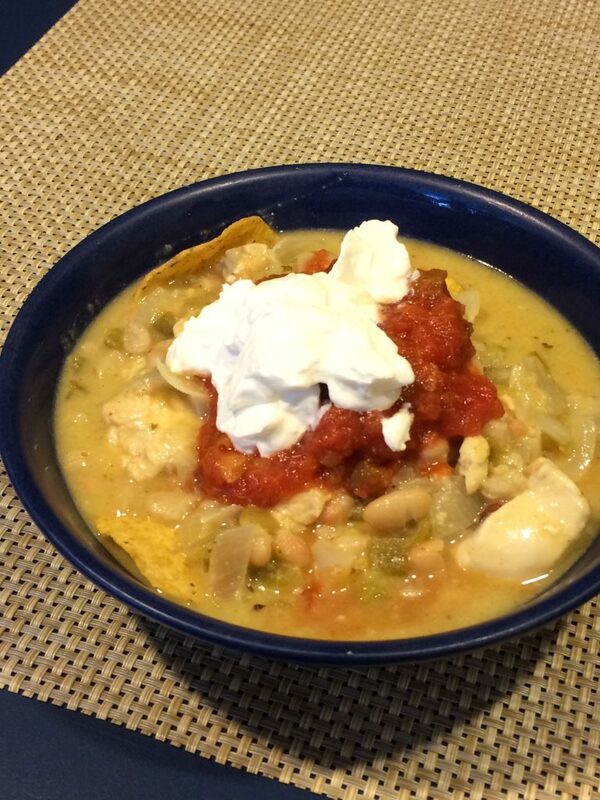 Lorraine sent us her version of white chicken chili it features scallions along with the onions and mild canned green chili for a milder sweeter taste. 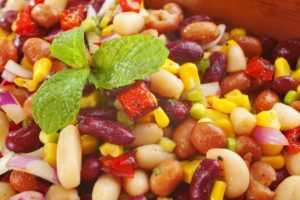 As football season approaches, the white chili is a rich and hearty alternative to traditional red bean chili.The dish features our popular Great Northern White beans. Wash and trim the chicken breasts. Cut, crosswise into small strips. Heat 3 tablespoons of the olive oil in a heavy pot. Sauté half the onions and the chicken, stirring over high heat just until cooked through, about 5 minutes. Remove with a slotted spoon to a side dish. Add the remaining oil to the pot and sauté the rest of the onions, scallions, garlic, cumin, and red pepper until the onions are clear. Stir in the salt, jalapeno peppers, chicken broth, and Randall Beans. Bring to a boil and cook for 15 minutes. Lower the heat and add in the cheese, stirring until melted. Return chicken to the pot and cook for 5 minutes. Serve topped with a dollop each of sour cream and salsa and a sprinkling of chopped cilantro. 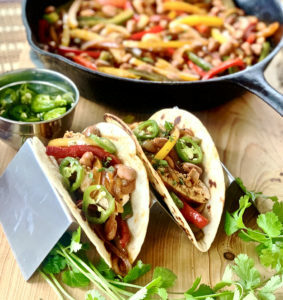 Following the recipe will result in a flavorful, but mild chili.If your family likes a little extra spice you can always kick it up a notch with a dash of Tabasco or sriracha sauce Serve it plain or with corn chips, corn tortillas or over rice.